Starting your own cafe involves a lot of hard work. As well as the capital required to get your idea off the ground, there's a mass of red tape to cut through and numerous hurdles to overcome. In truth, though, maintaining that same level of enthusiasm and continuing to give your customers a reason to come back year after year is just as, if not more, difficult than the process of getting started. 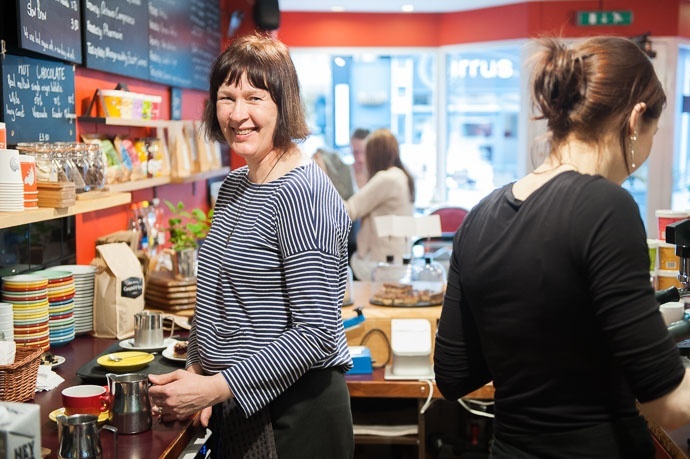 We sat down with Ruth Hampson, co-owner of Bean & Bud — an ethically focused independent coffee shop in the popular tourist town of Harrogate — to learn about what it takes to keep a business going seven years after opening. Tea and coffee have been a big part of Ruth Hampson's life for well over a decade. In her previous job, she worked closely with coffee growers, and spent time in Kenya and China sipping some of the finest coffee and tea in the world. Her husband Hayden, too, has long been a fan of the bean, considering himself something of a flat white aficionado after spending five years in New Zealand, his parental home. It was this shared love of tea and coffee that inspired the pair to go into business for themselves. 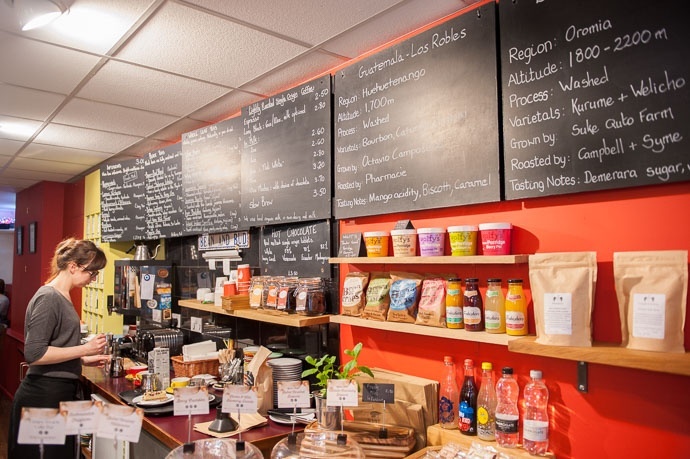 Tired of their lives in the City and in need of a change, they decided to relocate to Harrogate, North Yorkshire, with a view to putting their skills and experience to good use by setting up an independent cafe. 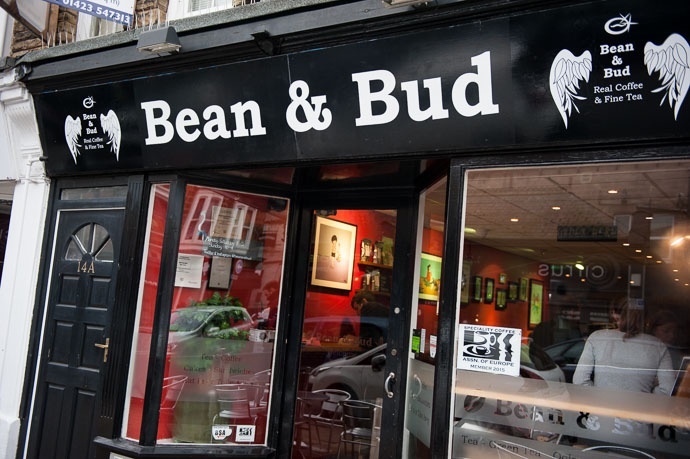 Bean & Bud became a reality soon after, offering a variety of teas and coffees from all over the world, accompanied by a variety of snacks and sweet treats. Today, as well as working in the shop full-time themselves, Ruth and Hayden have a team of five full- and part-time baristas under their employ, serving roughly 100 customers every single day. Even with all their passion for the product, however, Ruth admits that the first few years were far from easy going. "We opened in a recession," she told us. "For the first four or five years, we were working 70 hours a week trying to keep going. "You think about opening up a cafe and think to yourself, 'Oh, that’d be a nice lifestyle to have,' but it's really hard work keeping your business going and maintaining your reputation." And it certainly is a reputation. Bean & Bud is one of the most ethically focused coffee shops around, able to track their coffee beans and tea leaves right back to the individual growers, their names proudly displayed on the blackboards hanging behind the counter. 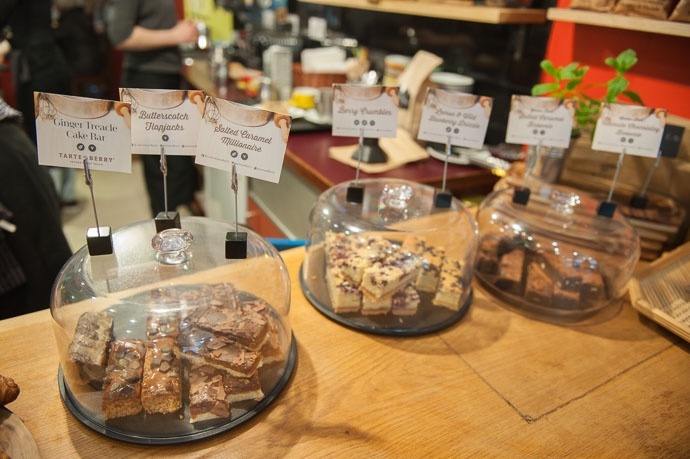 Bean & Bud's ethical ethos doesn't stop at its tea and coffee. Their entire business model, from their takeout cups right down to their approach to food waste, has a distinctly 'fair trade' vibe about it. "We use Vegware cups and lids, even the retail bags," Ruth told us. "They were really difficult to get hold of at first, but now the bags are all biodegradable. It's something that we’ve been meaning to do for ages, but it was Hugh Fearnley-Whittingstall‘s War on Waste campaign that really spurred us on to do it. "We also use Divine Chocolate and Karma Cola," Ruth tells us, pointing to a row of Fairtrade bottles behind the bar. "I mean, if you can't do good in the world then at least don’t do harm." Despite being so resolute in her approach to business, however, Ruth doesn't delude herself about the fact that Bean & Bud's good intentions might be misinterpreted by some. At a glance, she concedes, some people might think them a bit hipster — the kind of place that McDonald's recent McCafé ad pokes fun at. Far from a pretence, however, Ruth seems to consider it her moral responsibility to know everything there is to know about the products she serves, and to pass that on to Bean & Bud's patrons. McDonald's advert, then, didn't really faze her. "I think it's hilarious — it’s a really good advert," said Ruth of the cheeky commercial. "But we're the exact opposite of 'just a coffee'." Pointing to the blackboards behind the counter, she continued. "It's about showing our customers how we respect everyone all the way down the chain. It's about being able to name the producer and knowing the people involved right the way through — ethics goes into all of that." And it's not just the bean-to-cup journey that concerns her, either. "We get bread delivered from a local bakery every morning for our sandwiches. Any that are left over at the end of the day, we take to the homeless shelter that’s a few streets away. I mean, why wouldn’t you do that if you can?" With so much effort going into maintaining such high ethical standards, we couldn't help wondering if it was difficult for Ruth and Hayden to stick to their guns back when times were tough, and whether they'd ever considered adding a few greasy spoon staples to their menu. "Sometimes people asked us, ‘Do you do bacon?'" she said. "Our lives would be so much easier if we did bacon, but we don’t want to because that’s just not our key message and there are a million places you can go for that. "I know those kinds of things would make our life easier, but we don’t want to do them," she added. "You can't abandon your USP like that." Remaining faithful to your company ethos doesn't mean being completely inflexible, however. On the contrary, Ruth told us about how Bean & Bud had evolved over the years in response to increased competition and changing attitudes about coffee. "There have been a few restaurants in town that have gone out of business recently. You hear them saying, ‘Oh, there are big chains coming in and we can’t compete’," she said. "But then you think, ‘Well, I haven’t seen much of you on Twitter. I haven’t seen your new menu in response to this.’ People have always got a choice of where they can go — you have to make them come to you." But how, when your business is built on such strong principles or a particular product, do you do that? "You have to reinvent yourself all the time," said Ruth. "You keep doing the core thing that you do, but you have to change how you do it. "Our USP is connection to the growers and quality — quality of the product, quality of service, quality of cleanliness. But you have to move with the times and keep abreast of things that are happening in the market." We asked Ruth to give us a few examples of how Bean & Bud had changed since opening in 2010. "To be honest, when we first started, we were a little bit more mainstream. More focused on big lattes and things like that. The speciality coffee wave hadn’t really started, so were were a big part of what we now call ‘third wave coffee’ — single-origin coffee, kind of like craft beer or wine today. "But we’ve evolved and, we hope, brought people with us. The scene has changed a lot and people’s knowledge has changed — people are a bit more discerning now about their food, beer and wine, so I think that although we’ve changed our audience has changed as well." What advice, then, would she give to those in the early stages of business, or to those struggling to stay afloat? "It’s difficult not to be distracted by other people saying that you should do this or that. But sometimes you have to stop and think, ‘No, actually, this is what we do’ and we do it really well. "Don’t be sidetracked by wanting to be populist — obviously you’ve got to appeal to a wide audience, but also you’ve got to believe in your core product and your own message." "You should never underestimate the importance of the boring stuff — keeping an eye on your costs and figures and your books because, at the end of the day, that stuff matters. "I keep a really tight rein on costs — I do my own books and I reconcile it every day, so I know if I need to order a particular coffee at £15 per kilo instead of £18 per kilo. You’ve really got to be completely unromantic about it and watch your numbers." So, what's the next step in Bean & Bud's own evolution? "We already do things like barista courses and cupping events, but a lot of people ask us where they can get hold of the teas and coffees we serve, since we change them all the time. So that’ll be the next thing — to set up a web shop so that people can buy our coffees and teas, and even equipment," Ruth said. But, we asked, aren't you worried that people will stop coming to Bean & Bud if they can brew their own at home? "Not at all," she smiled. "On our website, we already list the suggested brew recipes, the grind we use, the dose we use, what our method is. If we sell you an AeroPress, we’ll always tell people to check the website for the suggested dosage. "I think having a coffee out is still a treat. People have kettles and ovens at home but they still go out to cafes or for dinner. I think that, by sharing our knowledge, we establish ourselves as experts, but we're also showing people that we’re here to help and that we want them to get the most out of their coffee as well." Clearly, when it comes to Ruth and her tea and coffee, it really is the people — and not just the product — that really matter. A big thank-you to Ruth Hampson for taking the time to talk to us. You can learn more about Bean & Bud on their website. Alternatively, you can follow them on Facebook, Instagram and Twitter. UI Engineer Graham Speed Joins the RotaCloud Team!